We’re so obsessed with these buckle heels that you can buy in black, blue, white, and red at Simmi Shoes. You can save 15% by subscribing to their newsletter. 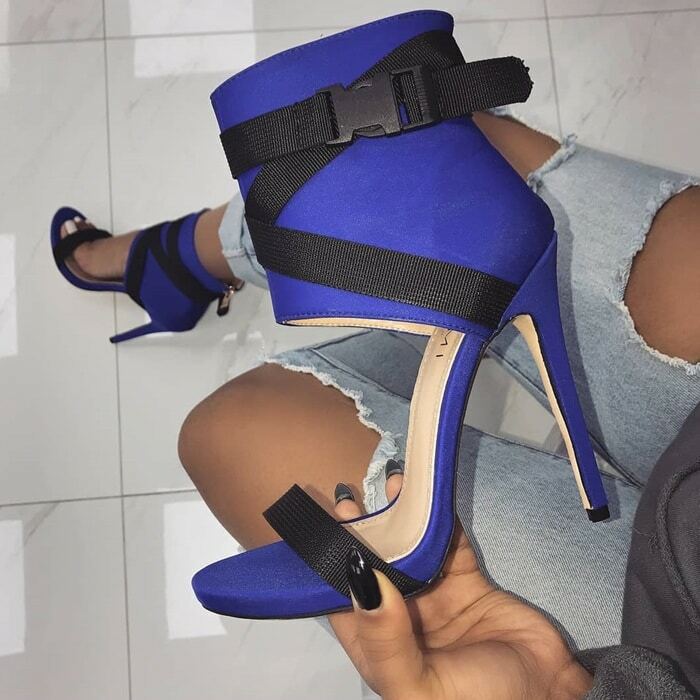 These hot shoes feature back zip, buckle strap detailing and a stiletto heel. Wear them with a jogger and sweatshirt set. 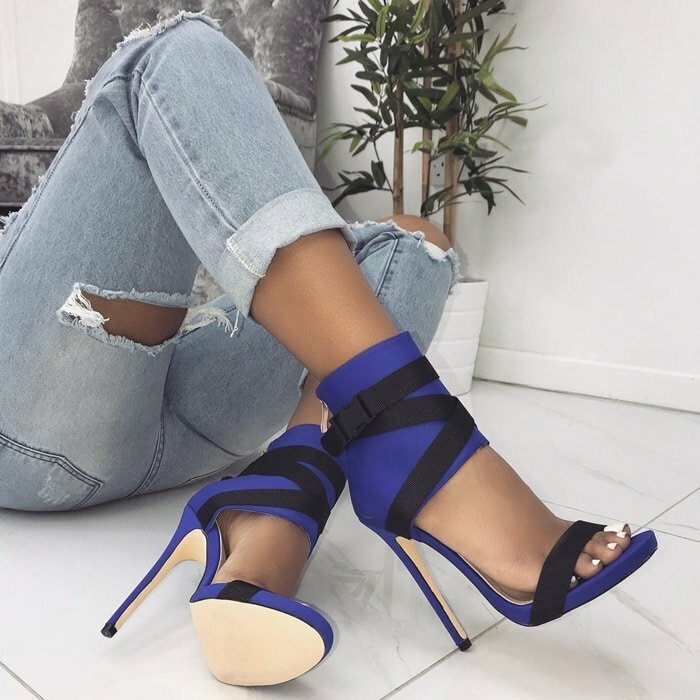 If you’re looking for a stretchable pair of booties, check out these chic stiletto heels that you can buy at ShoeDazzle for $9.99. They feature a decorative outside zipper and are available in olive and taupe colors.